The day of Butterbee Farm Olympics, 2016. 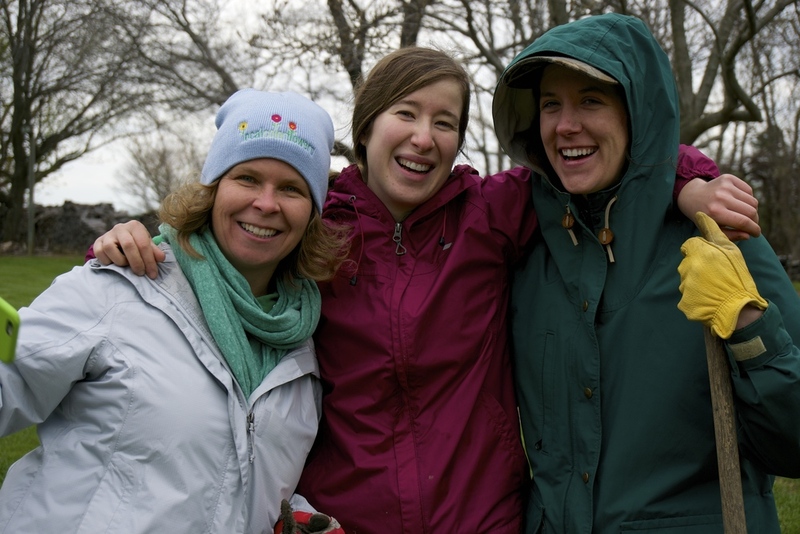 The day that a few incredibly rare and talented athletes braved the elements of Butterbee Farm. They arrived from Local Color Flowers and Hillen Homestead, and ate the quick power breakfast of champions (donuts). Then, the Challenges began: Dexterity, Speed, and Precision. During the Dexterity Challenge, the competitors were judged while weeding the woody perennials. Eric took this challenge very seriously. Marianna made sure there was no cheating. The second challenge, Speed, was a weeding relay. A member of each team took a shovel, ran in to the field to dig out a big dock weed, and ran back to dump the weed and hand the shovel to the next team member. The first team to finish won... my team! Team Double Donuts! We finished waaaaay before Team Watermelon Cats. The final challenge was Precision. Judge Jascha based points on how well each team planted snapdragons, borage, lamb's ear, and chamomile. Team Double Donuts won that challenge, but the Watermelon Cats won a Team Spirit prize, so it was a tie overall. And of course Grandma Wendy won the Best Playdate prize for hanging out with Hillen Homestead baby farmer Maddalena during the Olympics! All Competitors survived (though I can't say the same for a few earthworms) and Butterbee Farm Olympics 2016 came to a close with pizza and prizes. And thus begins our season! I wish you all an earthworm sighting.